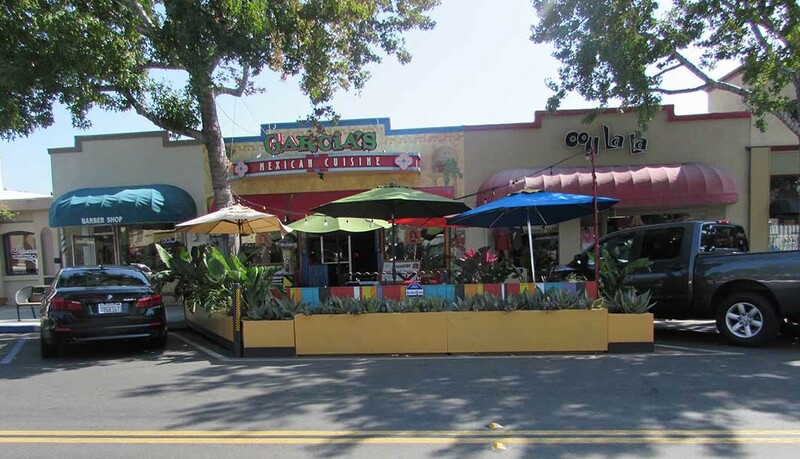 CARLSBAD — Curb cafés in Carlsbad Village are catching on as part of a three-year pilot program, which aims to enhance the pedestrian experience in the Village. Three are currently built and three other restaurants have been approved to install the temporary structures. Vigilucci’s, Boar’s Crossing and Barrel Republic, which will likely open by the end of this year, have been recently approved to install the curbside cafés. In March 2013, the city approved a three-year pilot program for the curb cafés, which are allowed to take up a maximum of two parking spaces. Sidewalk dining was already allowed in the city although the narrow sidewalks made it difficult for restaurants to capitalize on outdoor dining options. Restaurants are now able to build temporary deck structures on parking spaces to extend the outdoor dining. The idea is that by increasing the amount of outdoor dining options, the curb cafés would enliven the streetscape and revitalize the Village. “Predominantly, we have nice weather 95 percent of the time so you have people that like to sit outside,” Owner of Garcia’s Mexican Restaurant Belynn Gonzales said. Gonzales was the first Carlsbad restaurateur to take advantage of the program. She said it took about 18 months for her to finally get all of the planning and paperwork done and to install the deck. “It’s worked out great and I’m at the point where I’m now ready to request another three year interim, if that’s what (the city) is doing,” Gonzales said. She said the extended patio has been a hit with customers. 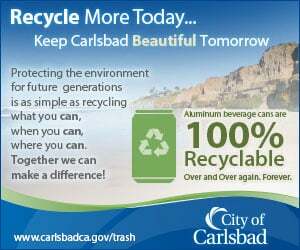 Carlsbad Senior Planner Scott Donnell agreed. “I’d say the feedback has been significantly positive,” Donnell said. On the city’s feedback website, Mind Mixer, dozens of commenters said they approved of the curb cafes. However, some complained about a loss of parking. “There have been concerns expressed about loss of parking, removing parking that would serve a business next to the restaurant for example,” Donnell said. A maximum of 11 restaurants in the Village are allowed to install the temporary decks and each restaurant can only take up two parking spaces. In order to compensate for the loss of parking spaces, restaurant owners rent out each parking spot for $100 a month. That money goes to an in-lieu parking fee pool, according to Donnell, which the city than uses to purchases parking for public use and to maintain current parking lots. The fees also go towards leasing spaces from the North County Transit District. “Some of the parking lots in the village are in the North County Transit District right of way and the city leases them and keeps them open for public parking spaces,” Donnell said. The pilot program lasts through 2016 and Donnell said the city will likely address them in the Master Plan update, which will be drawing to a close in the coming months. The Master Plan draws out the guidelines for the city and Donnell said there might be a possibility of including the curbside cafes in other parts of the city. Oceanside recently held a workshop to explore the possibility of allowing the cafes. Councilwoman Esther Sanchez told the Coast News that with the recent loss of 1,000 parking spots in the downtown area, now is not the right time to introduce the cafes. Next, the Oceanside council will hear draft policies and possibly consider a pilot study.